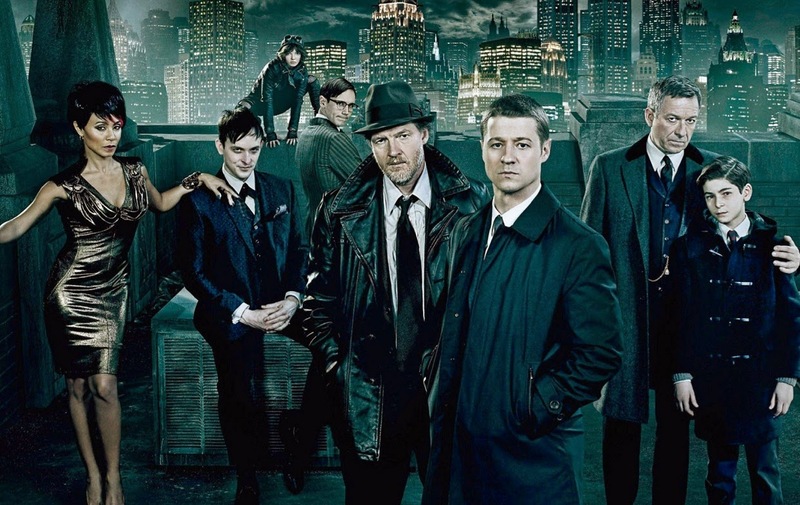 While reading about all the new shows slated to premiere last fall, I remember thinking that with all the hype that Gotham was getting, it was sure to be a disappointment. Not a flop, I just didn’t think that it could live up to all that hype. Fast-forward to the end of Season One (the second season was green lit pretttty much after the premiere) and I am so happy to report that it was a huge success. The show grabbed me from the first episode and the only tiny issue that I had was including Bruce Wayne (David Mazouz) in a show that was NOT about Batman. As it turns out, there was just the right amount of young master Bruce, with a sprinkle of Selina Kyle (Camren Bicondova) thrown in to keep the show’s “animal lovers” happy. Pairing super-cop Jim Gordon (Ben McKenzie) with a questionably moral cop like Harvey Bullock (Donal Logue) was pure cinematic poetry. Throughout the season, these guys went up against some of Gotham’s heavyweights (as well as each other from time to time) and kept on ticking. Another thing I really loved about the show was that its villains were not just comic book bad guys. Oswald Cobblepot, aka The Penguin (Robin Lord Taylor) was a sadistic pleasure killing momma’s boy. The mob guys actually killed people. And Jada Pinkett-Smith turned out to be one of the baddest villains of them all in Fish Mooney. Without giving away any spoilers here, let me just say that the action was first rate. The characters are oh so interesting. And the writing is freakin’ amazing. I honestly have no idea what is going to happen next season, but I will guarantee you that I will be there with bells on for the ride!